A shooter opened fire today during a Madden NFL 19 tournament at the GLHF Game Bar in Jacksonville, FL. Three people are confirmed dead, including the suspected shooter, while a further 11 have been injured. During a press briefing at 4:30 PM EST, Sheriff Mike Williams made some short remarks about the incident. Jacksonville Landing, the mall in which GLHF Game Bar is located, has been cleared. There is one suspect deceased at the scene, and there are no outstanding suspects. The deceased suspect is a white male, and the Sheriff’s Office now believes him to be 24 year-old David Katz, a competitor at the tournament. The shooting was captured on the live Twitch stream of the tournament, and you can view that clip here. Warning: the clip is extremely disturbing. 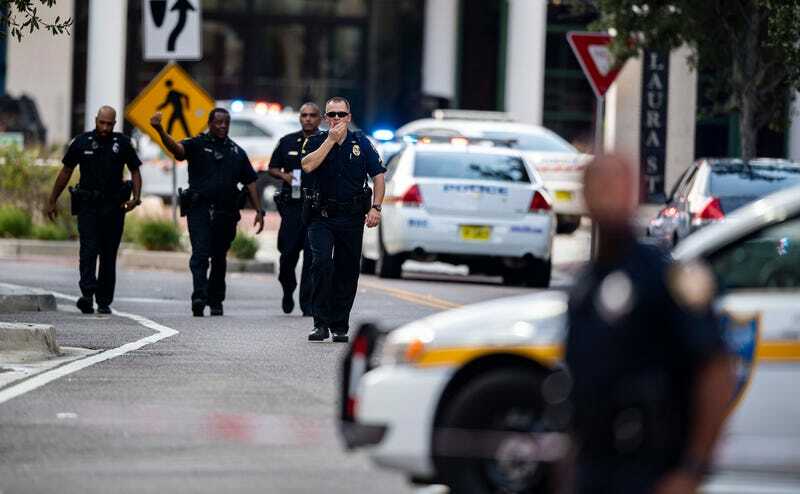 UPDATE 1, 7:30pm - While the investigation is still ongoing, a statement issued by the Jacksonville Sherriff’s office believes—though they cannot confirm—that the suspect was a 24 year-old man named David Katz, from Baltimore, who was in town “for the competition”. The FBI is currently providing investigative and technical assistant, and Federal authorities are currently investigating a home in South Baltimore. The Sheriff’s office has also confirmed that three people have been killed, with a further 11 injured, nine of them with gunshot wounds. All of the wounded are in a stable condition.